Toyota design chief Simon Humphries says he is sometimes more Japanese in his aesthetics than his Japanese designers. TOYOTA CITY, Japan -- Toyota is often billed as the most Japanese of Japanese automakers, but it has turned to a foreigner to spice up the company's famously bland styling. Simon Humphries, the soft-spoken Englishman tapped for the job, isn't the person you might expect to head the global design studios of the world's biggest carmaker. Before joining Toyota in 1994, he had virtually no experience in vehicle design. And instead of injecting Toyota with a major dose of foreign perspective, Humphries is -- by his own admission -- sometimes more Japanese in his aesthetics than his own Japanese stylists. "I think they need to be much more confident about their own cultural heritage," Humphries said in an interview at Toyota's main design studio here. "The foreign people who work within design are more aggressive about promoting Japanese-ness than the Japanese themselves." Yet Humphries' leadership position since the semi-retirement of design chief Wahei Hirai in June 2009 is a sign that the company is taking a more cosmopolitan outlook. 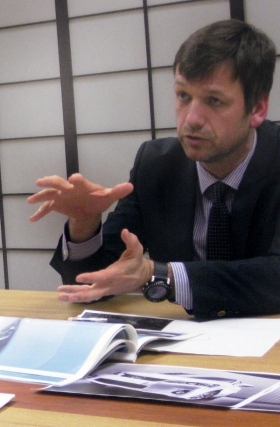 As general manager of Toyota and Lexus design brand strategy, Humphries, a fluent Japanese speaker with a flair for smart-casual dress, is the highest ranking foreigner at Toyota in Japan -- at the tender age of 43. And President Akio Toyoda wants Humphries to forge a new look that embodies the chief executive's personal ambition to make cars that are more visually interesting and fun to drive. Look for Humphries' imprint in the latest Prius and the upcoming Lexus CT 200h. Humphries' Pod concept was first shown in 2001. Humphries is a lifelong car buff who bought his first ride, a Mini, before he even had a license and taught himself how to dismantle and reassemble the engine. But dreams of penning his own autos were put on hold by the hollowing out of Britain's car industry in the 1980s. But Japan -- in the midst of its booming "bubble" economy -- had ample room for the industrial designer, who was trained at De Montfort University in England. "At that time, it was the peak of the bubble," Humphries recalls. "There was anything and everything in those days here. For product design work, it was like heaven. In comparison to the U.K. at that time, there was so much going on. So I really wanted to come here for design." In the early years, Humphries worked for Sony Corp. and various consumer goods studios, styling everything from video cameras and train interiors to golf clubs and toilets. When Toyota called, he never looked back. His career at the automaker has been entirely in advanced design, with credit for such works as the futuristic Pod concept car in 2001 and the Scion CCX, precursor to the first Scion model. He also worked on the projects that eventually became such quirky compacts as the Japan-market Toyota FunCargo and Toyota bB, sister model to the Scion xB in the United States. But his most dramatic impact came from a five-year project started in 2001 to create long-term design strategies for Toyota and Lexus. The styling language -- dubbed "Vibrant Clarity" for Toyota and "L-Finesse" for Lexus -- appears in such cars as the third-generation Prius and the Lexus LS. 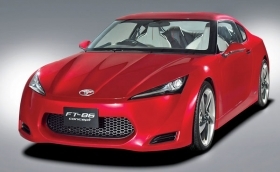 Simon Humphries says future Toyotas will have flashier front ends, like the one on the FT-86 concept. A key element of his approach is channeling Japanese sensibilities. That includes making things smaller but with maximum interior space, as well as creating products that are unique. Humphries says the curry doughnut -- common at pastry shops here -- exemplifies Japan's ability to reinvent. "Putting curry inside a doughnut -- who would ever think of that?" he asks. "But for them, it doesn't seem like anything unusual. For me, that is a real eye-opener -- the way they can seemingly combine two normal things to create something that is very, very new." Imre Molnar, dean of auto design at the College for Creative Studies in Detroit, likens Humphries' ability to tap Japanese roots to that of the German bosses who championed the return to American-style design in such models as the Chrysler 300 during the DaimlerChrysler days. "As an outsider, he has the objectivity and eye," Molnar says. -- More expressive, dynamic front ends, as in the FT-86 sports car concept and iQ compact. -- Minimizing or eliminating the upper grille, as seen in the Prius. -- More options for personalization of colors and material by customers. -- Smaller, less cluttered instrument panels for the Lexus brand, with controls closer to driver. "We're going to simplify," Humphries says. "The car needs to be stronger, much bolder. More iconic. 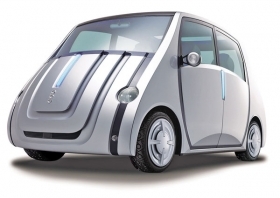 Even core vehicles will be much more expressive." The push is part of Toyota's attempt to rev up its image, transforming it from a maker of staid and sensible grocery-getters to a brand with pizzazz. Akio Toyoda, a racing fan obsessed with test driving vehicles, takes a personal interest in what he calls the vehicles "charm points" -- details such as driver position, cornering visibility and vehicle stance. The current Lexus LS 460 exemplifies Toyota's “L-Finesse” styling language. Humphries says of the company president: "He comes to every single step of the design evaluation process and talks to us directly on every car. He's very, very involved." One way the focus on drivability is already translating into design: moving the steering wheel up higher and closer to the body so that the driver's shoulders rest naturally against the back of the seat. Humphries says this gives a better sense of being at one with the vehicle and breaks with a longtime Japanese tendency of placing the steering wheel farther away and lower. Design critics say Toyota has a long way to go -- but that it's on the right track. Molnar, the Detroit design instructor, pans models such as the Toyota Venza mid-sized crossover as "an unfortunate piece of work from a proportional and design detail standpoint." But other cars, including the iQ minicar, which will be coming to the United States under the Scion brand, get high marks from him. Design matters now more than ever, he says. Toyota could long generate sales on its reputation for reliability and value and coast by on tepid looks. But as rivals such as Hyundai and Kia close the gap on those fronts, Molnar says, Toyota needs to step up its styling to set it apart from the pack. "Toyota is ready to appeal to those wanting more from a car than just an appliance," Molnar says. "Simon, with his Western experience and objectivity as an outsider, may be the right leader at the right time."